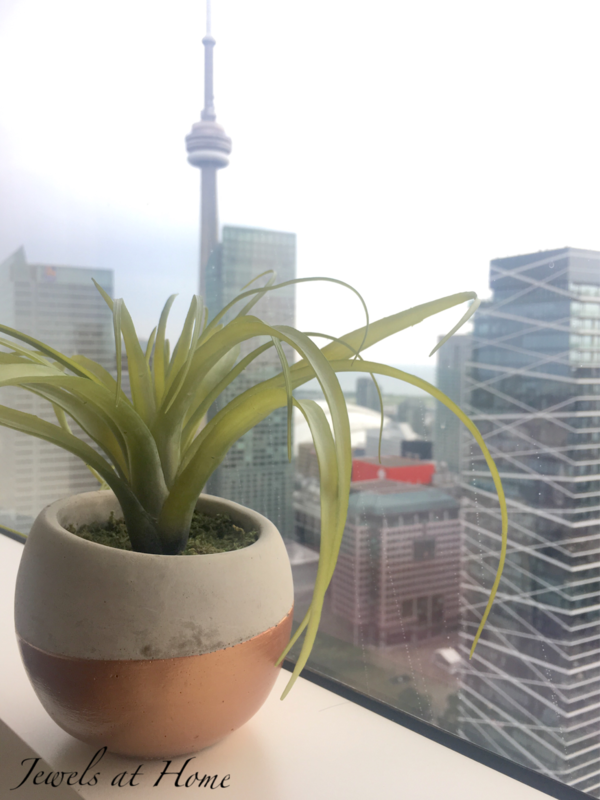 Hello, Crazy Plant Lady here today! 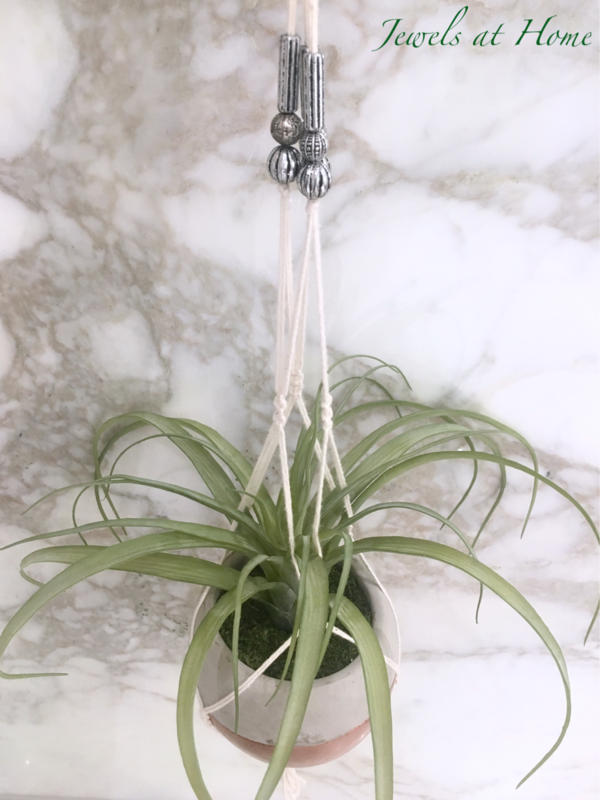 My good friend, Nicola, asked me to share more about how I’m installing my macrame plant hangers (see this post and this post for the details on the hangers). I’ll give you those details and also include some more ambitious ideas that I still fantasize about! One general tip is that I chose lighter weight planters. 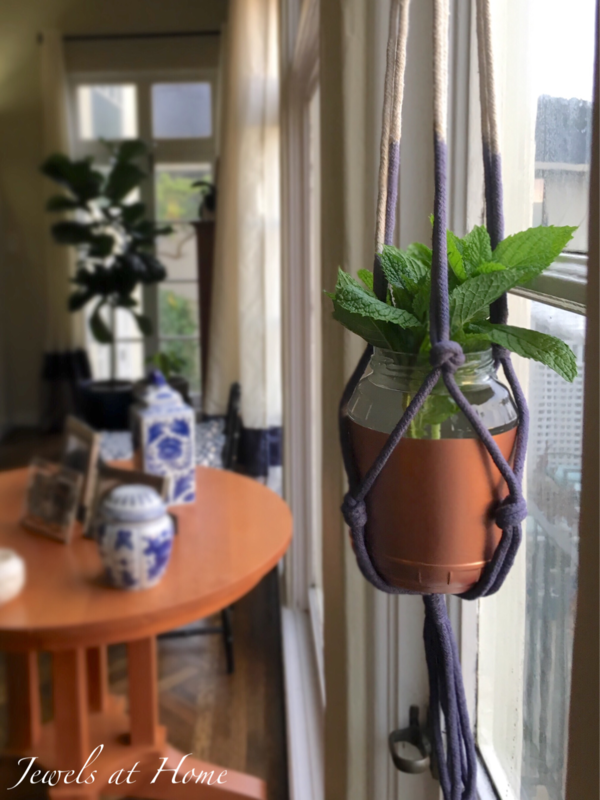 Some of my plants are hanging in my made-over yogurt containers, and others are in glass jars or vases, some painted with metallic spray paint. I lucked out to have these beams running in our family room, so I screwed in coat hooks for my plants. 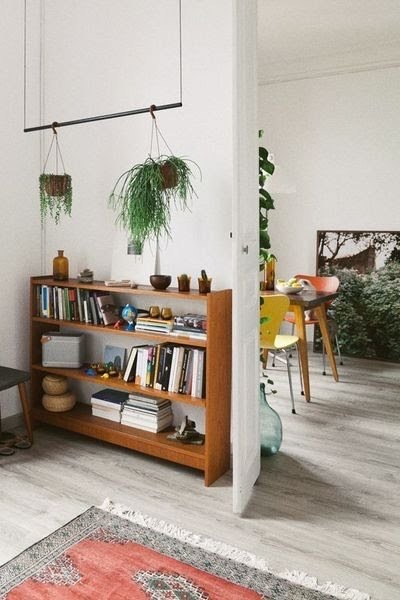 Obviously, not every house has wooden beams, but if you do, this is easy, and to display more, you can screw in two hooks and run a rod between them. 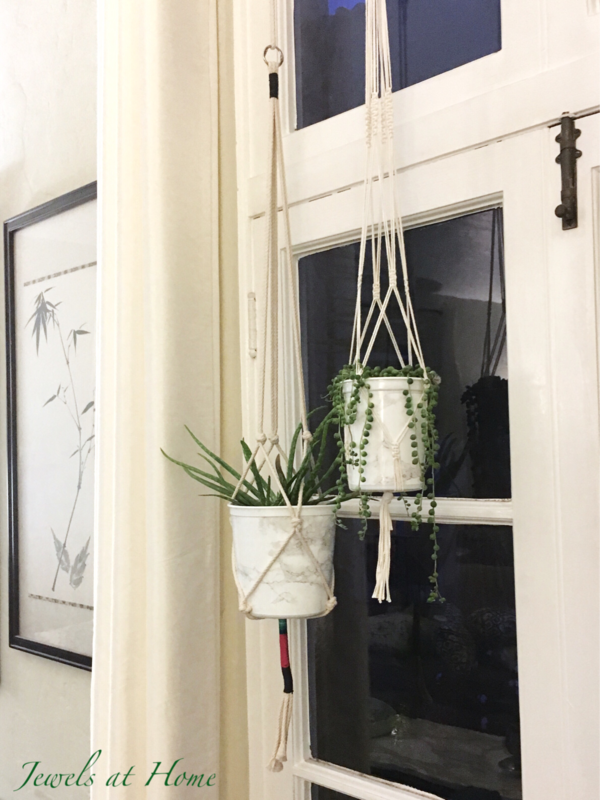 Plants need light, so it makes sense to hang them in front of a window! 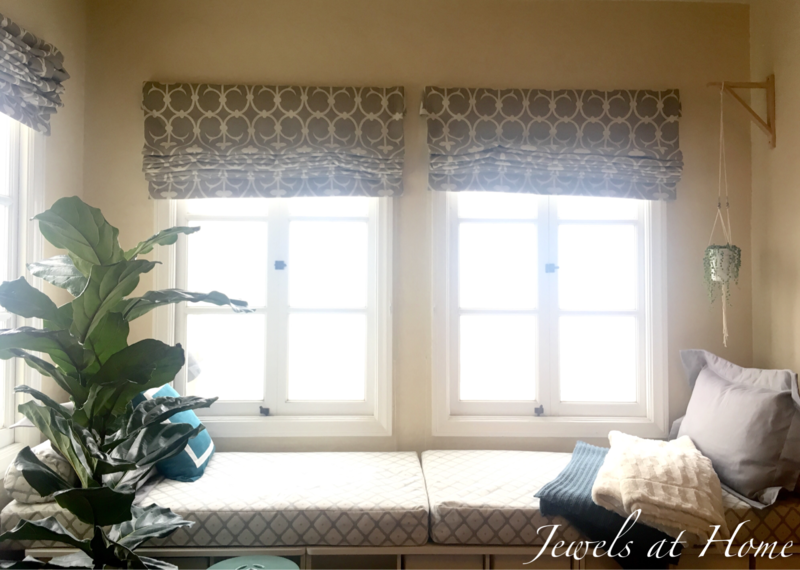 It wouldn’t be the most convenient idea for curtains that you open and close often, but it’s great for windows where the curtains can stay open most of the time. 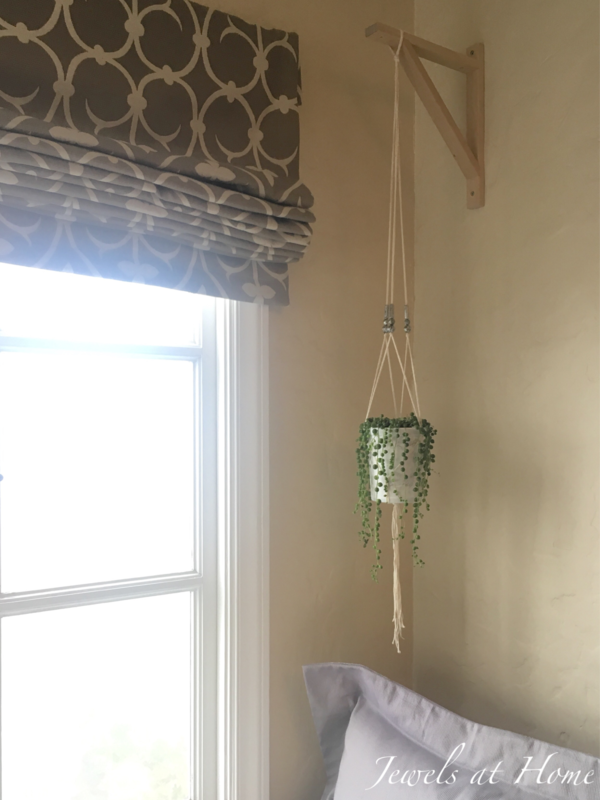 I used shower curtain hooks to hang several plants this way. 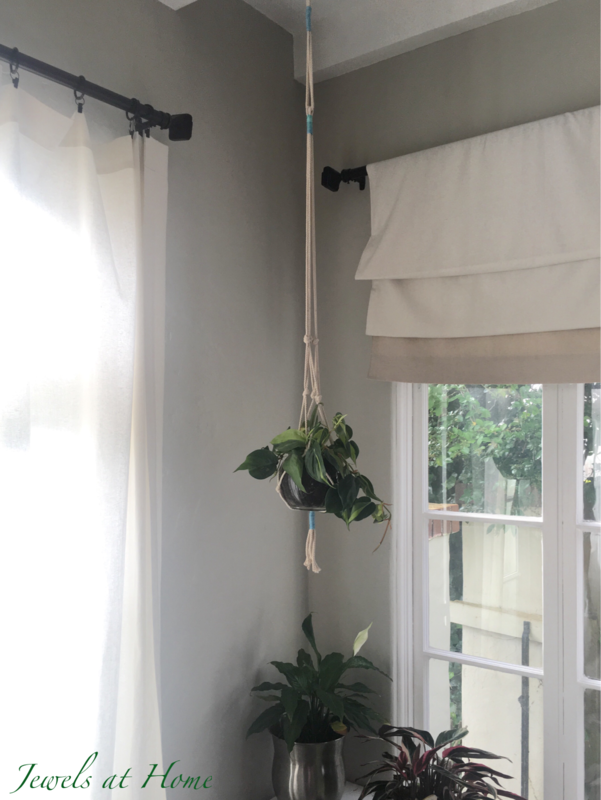 The rollers on the curtain hooks make it easy to move the plants, if you want to close the curtains. 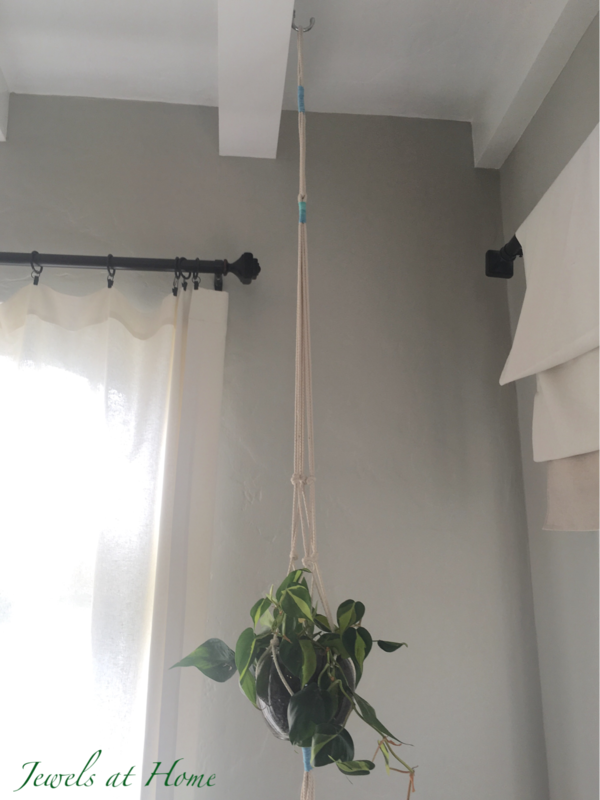 I was honestly too nervous to hang plants from our ceilings. The house is about 90 years old, and the walls and ceilings are plaster and lathe. 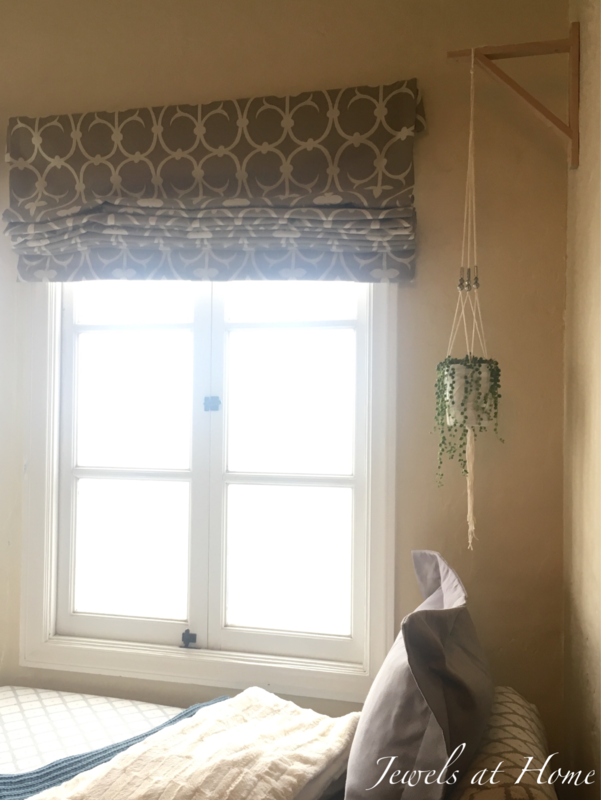 I had visions of the giant patches of plaster crumbling down on me, so I decided to use wall brackets. This method also gives you more flexibility about hanging heights. These are the brackets I used. (The link is to Amazon, but they’re cheaper at IKEA, if you can get to a store). If you’re feeling more courageous, here are some more ideas I’d like to try! Hanging a ladder from the ceiling. This is just so peaceful and gorgeous! A large branch displaying multiple hangers. I love all the colors and designs! 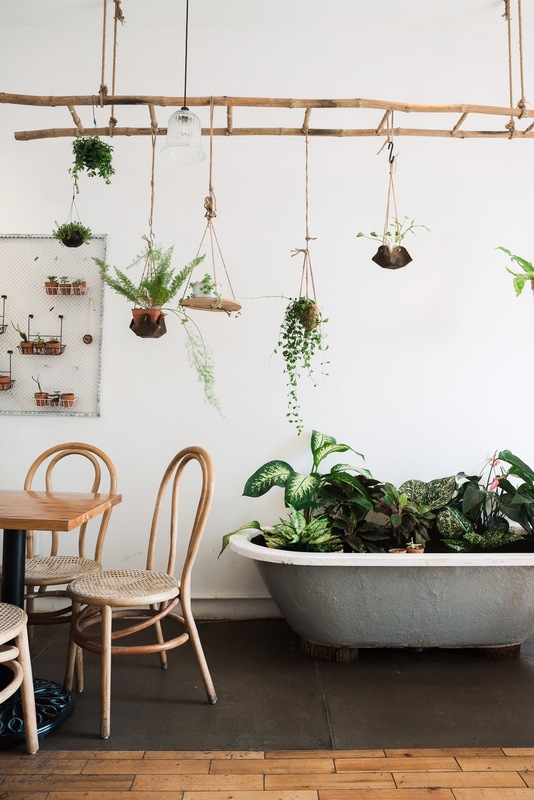 How about a cool metal pipe or rod to display your plants?! A sleek look, and you could do it from a wall, if your ceilings are unreliable, like mine. 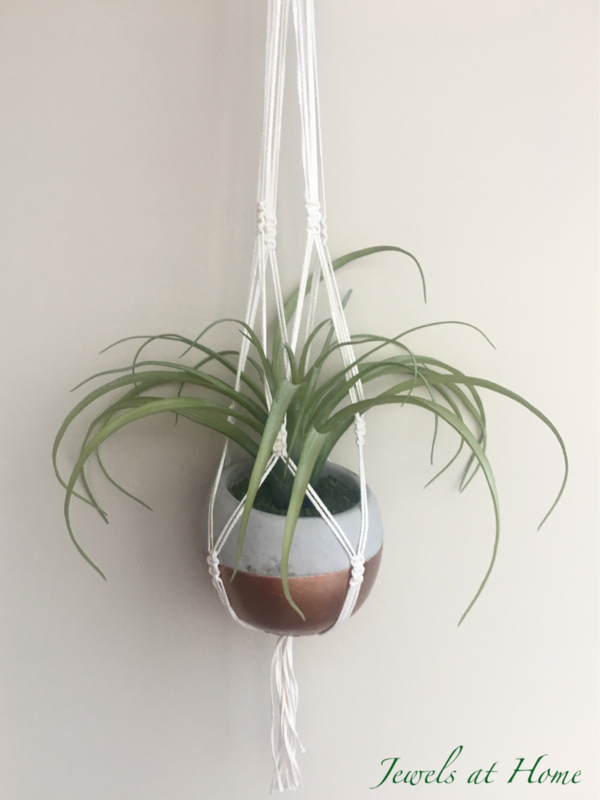 Thanks for coming with me into the world of macrame and plants. I am clearly a little obsessed. I’ve got more new ideas coming up to share with you soon(ish)! 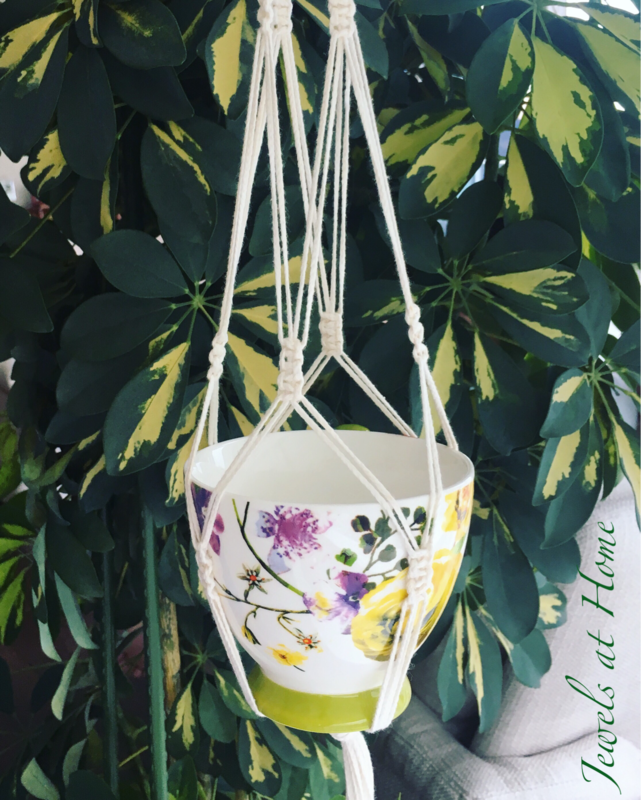 Macrame Mania – Square Knots and Beads! 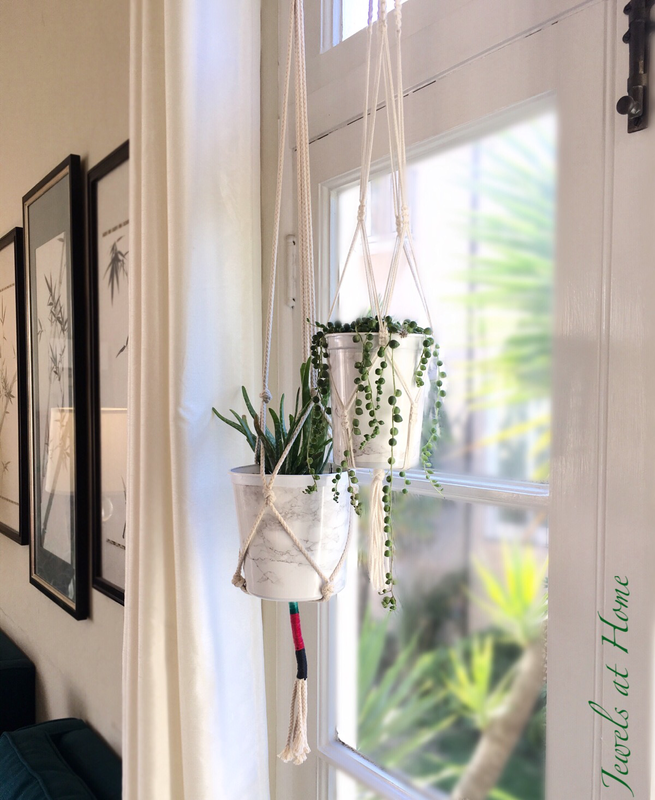 “At first I was afraid… I was petrified…” and now I’m totally obsessed with macrame! 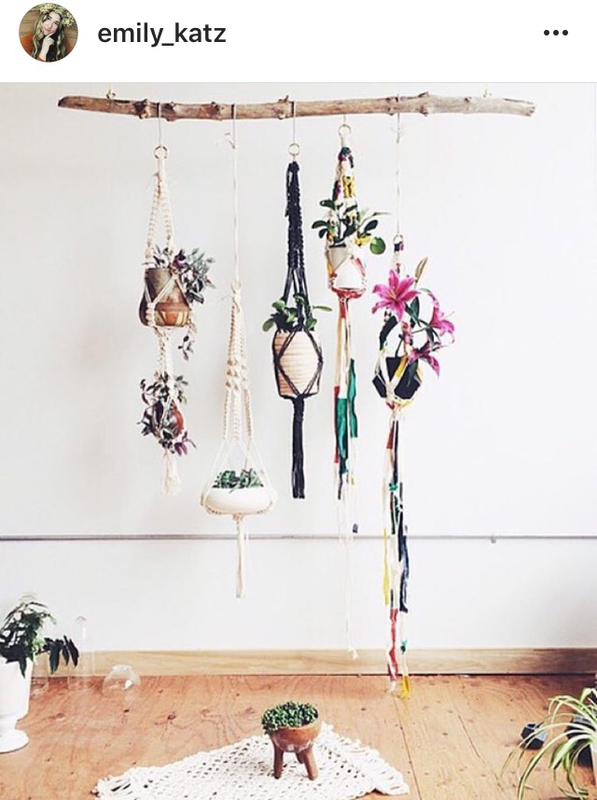 With apologies to Gloria Gaynor… once you learn a few basic knots, there are so many possible macrame projects! 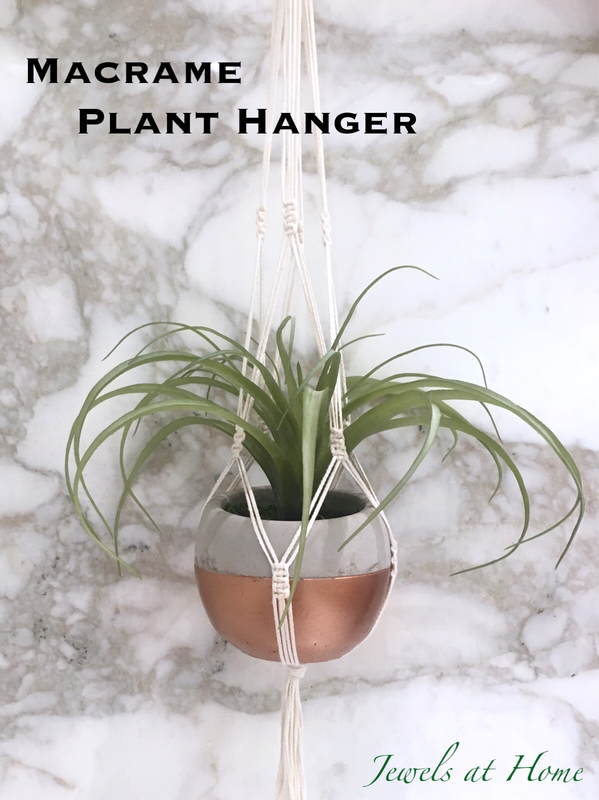 You might remember that for my first plant hanger, I used heavy rope and simple overhand knots. I added gathering knots in colored yarn. For my next projects, I learned the square knot and added some beads. 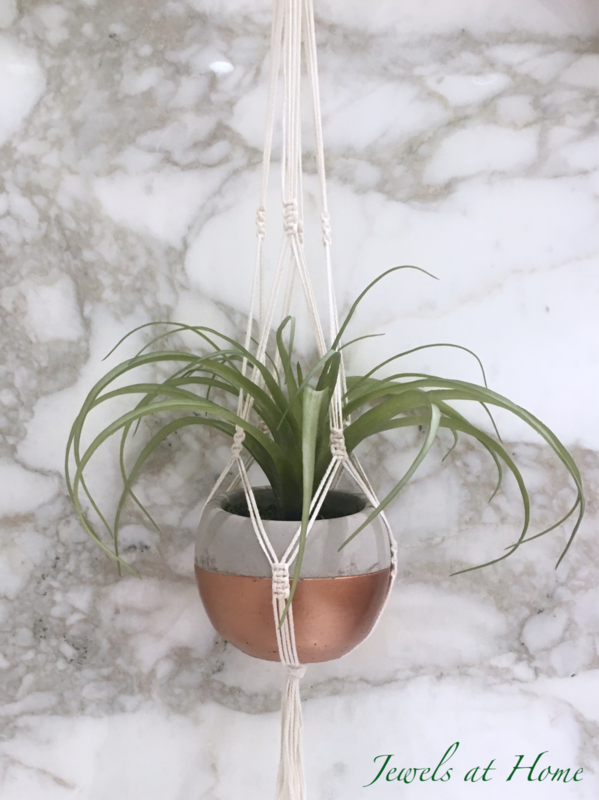 This project uses some silver-colored beads, and the hanger is formed with short stretches of three square knots. I used sport weight cotton yarn (similar to this yarn) which I already had. 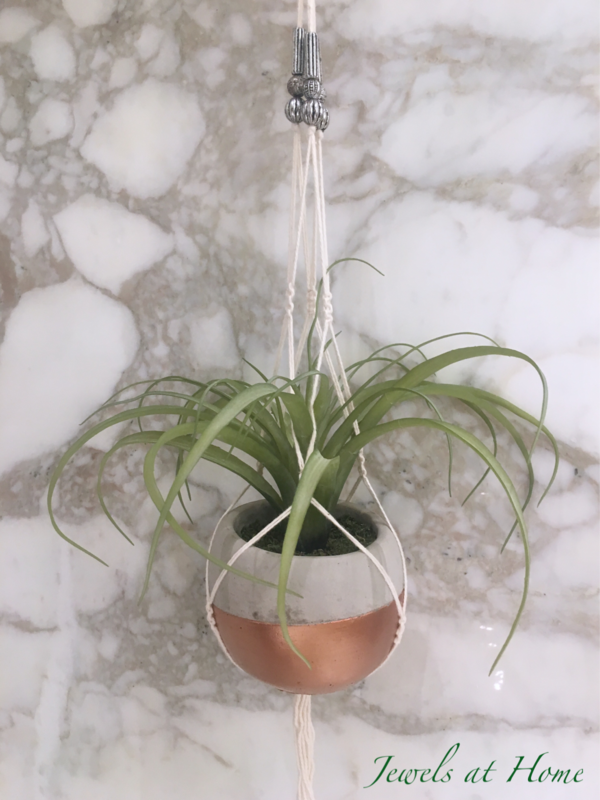 The advantage is that it’s thin enough to thread the beads onto, but the result is quite thin, so it will be best for a smaller plant. This next project uses some braided candle wick. It lies flat, which makes the square knots much easier and neater. 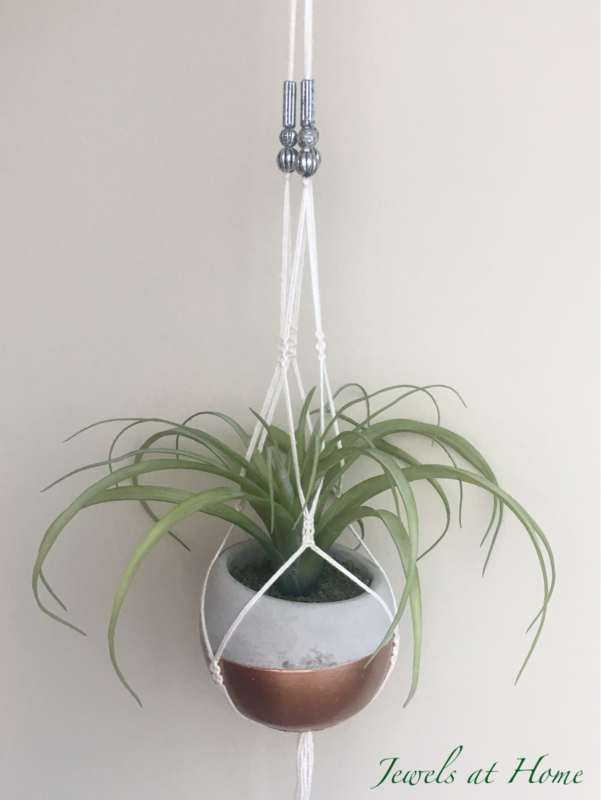 I did two longer stretches of square knots at the top and then shorter stretches to form the hanger. The twine is heavier than the cotton yarn, and I really like how it lies flat. I’ll definitely be doing more projects with this string! 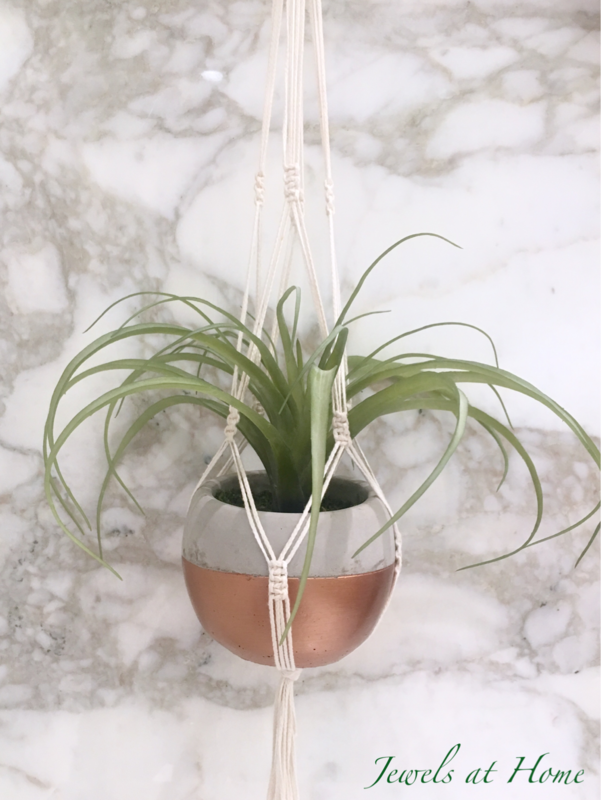 Next macrame projects coming up: wave knots, colored string, and dip-dyeing (I think I will save that for when I get home…)! I always need to have a project to work on, and this has turned out to be a great one for traveling, because it is so compact. Hope you will give it a try.